Two of Canada’s favourite independent bands will join ARKELLS on Labour Day long weekend at the outdoor ski slope venue in Sun Peaks. Juno winners, ARKELLS, perform on Saturday, August 30, followed by Elliott BROOD and Hey Ocean! on Sunday, August 31. Regional and local bands will add energy and atmosphere in the village at other outdoor stages throughout the weekend. 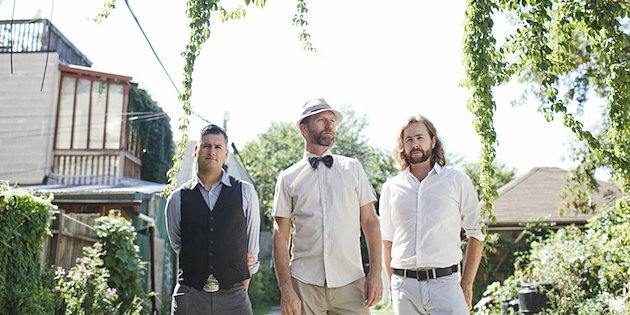 Since forming in 2002, Elliot BROOD has become a Canadian music institution, with hits like “Oh, Alberta!” and more recently “When I Get Old”. Their newest album Days Into Years features roof-raising rhythm stomp and mandolin colliding with luscious harmonies, piano and, for the first time, electric guitar. While General Access and viewing on the natural amphitheater of Sunbeam ski run is free, guests may purchase Front Stage Access tickets to a closer viewing area. Best value pricing for the Labour Day long weekend includes free Front Stage Access tickets with three nights of booked accommodation. For all package and accommodation options go to www.SunPeaksResort.com/Labour-Day. Hey Ocean! combines sheer talent, charismatic songs and an undeniably energetic live show, making them a must-see band. They are often described as one of Canada’s best up-and-coming acts, with an ability to blend various musical styles into a brand of infectious pop that is uniquely their own. The 2014 Summer Concert Series kicks off in one month with Dan Mangan + Blacksmith on July 4 and Canadian music icon Blue Rodeo on July 5. Sun Peaks’ first Country Fest, featuring Aaron Lines and eight other country bands, is on July 19 and 20. Massively popular children’s entertainers, The Doodlebops, will headline Canada’s Alpine Blossom Festival on August 2. The 5th Annual Retro Concert Weekend takes place on August 15 to 17 and has drawn top tribute bands from across the country. The summer will be topped off with three of Canada’s best bands taking the stage on August 30 and 31. For complete concert listings go towww.SunPeaksResort.com/Concerts. August 31 – Elliott BROOD and Hey Ocean!